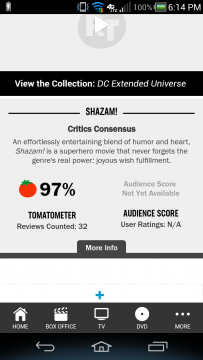 This movie is basically the end of The Fox X-Men with a first time director Simon Kindberg who wrote The Last Stand and Shazams director David F. Samburg made Lights Out and Annabelle: Creation two really good horror movies. My friend, you and I love comic book/superhero movies in general. Especially the ones that succeed in entertaining us. 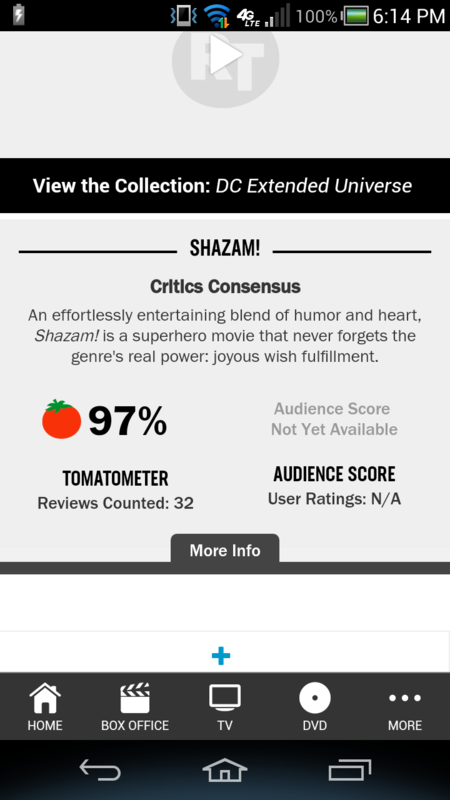 IDC what VashBash or any other detractor has to say negatively about this upcoming film. Captain Marvel/Shazam looks awesome to me. The movie looks epic, fun, and hilarious to me. To me, the film is staying true to the lore of Captain Marvel (Billy Batson). Listen I don't believe some random people on reddit claiming they seen something. I'll wait until the movie comes out and actually watch it. Saying it comes out the same day as a childs movie confirms you like those type of movies which there is nothing wrong with it, i just relate to the more adult ones. oh how well a movie does in the box office doesnt make me want to see it. Secret life of pets isnt going to make a difference towards Dark Phoenix releasing the same day, they have different audiences. I don't think people going to the theatre is gonna have a hard decision whether they are gonna watch a childs movie or a superhero film. This movie looks awesome and hilarious. The story: I want to see how well this movie captures the lore of Billy Batson/Captain Marvel. The performances by Asher Angel as Billy Batson, Zachary Levi as Captain Marvel, and Mark Strong as Doctor Sivana: The acting is this move looks really good so far IMO. Asher Angel does a nice job as Billy Batson and Zachary Levi looks great as Captain Marvel. However, I am especially looking forward to Mark Strong as Doctor Sivana. IMO, he looks like a very good villain. Hopefully he adds himself to the list of the DCEU's best villains along with Zod and Ocean Master. The showcasing of Captain Marvel's powers and abilities: From what I've seen so far in the trailers, Captain Marvel's powers look awesome in the film. So far he has showcased the following powers: Strength of Hercules, Stamina of Atlas, Power of Zeus, Courage of Achilles, and Speed of Mercury. So far, he has yet to showcase the wisdom of Solomon which reveals how intelligent he is as a character. The comedy: OMG, this movie looks hilarious. This movie is what the DCEU really needs IMO. Something light hearted and comedic. I hope you enjoy because it looks really good. Did you check out the video in regards to Captain Marvel/Shazam's top 10 greatest fights? It is an awesome video.